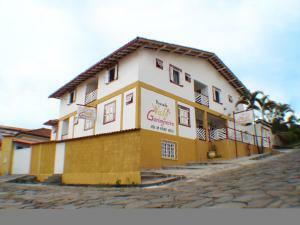 Offering free WiFi, Pousada Joao e Maria is set in Diamantina. The property features barbecue facilities, as well as a garden. The guest house features an outdoor pool and a 24-hour front desk. All rooms in the guest house are fitted with a flat-screen TV. With a private bathroom equipped with a shower and free toiletries, certain rooms at Pousada Joao e Maria also feature a mountain view. Milho Verde is 40 km from Pousada Joao e Maria. When would you like to stay at Pousada Joao e Maria ? This double room features a minibar, tile/marble floor and flat-screen TV. This triple room features a balcony, tile/marble floor and minibar. Each day we'll check prices and send you an email for your selected dates at Pousada Joao e Maria. If you don't have specific dates but would like to check prices for say next weekend or say next month we can check the price too. 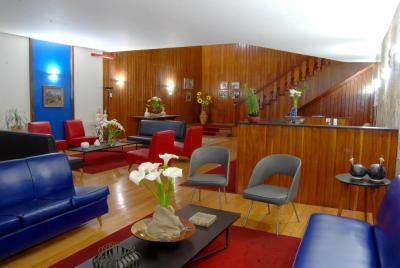 Click to write a review and share your experience of Pousada Joao e Maria with other travellers.